The flurry of subpoenas came a day after U.S. District Court Judge Peter J. Messitte approved a brisk schedule for discovery in the case alleging that foreign and domestic government spending at Trump's Washington, D.C., hotel amounts to gifts to the president in violation of the Constitution's emoluments clause. The subpoenas target more than 30 Trump-linked private entities and the federal agency that oversees the lease for Trump's D.C. hotel. 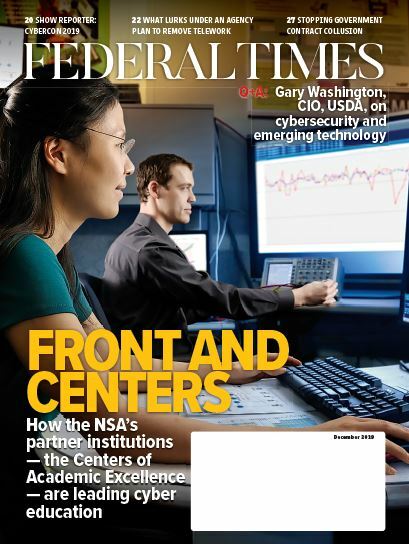 Subpoenas were also being sent to the Department of Defense, General Services Administration, Department of Commerce, Department of Agriculture and the IRS, all of which have spent taxpayer dollars at the hotel. The Maryland attorney general's office confirmed the targets of the subpoenas to The Associated Press as they were being prepared Tuesday. 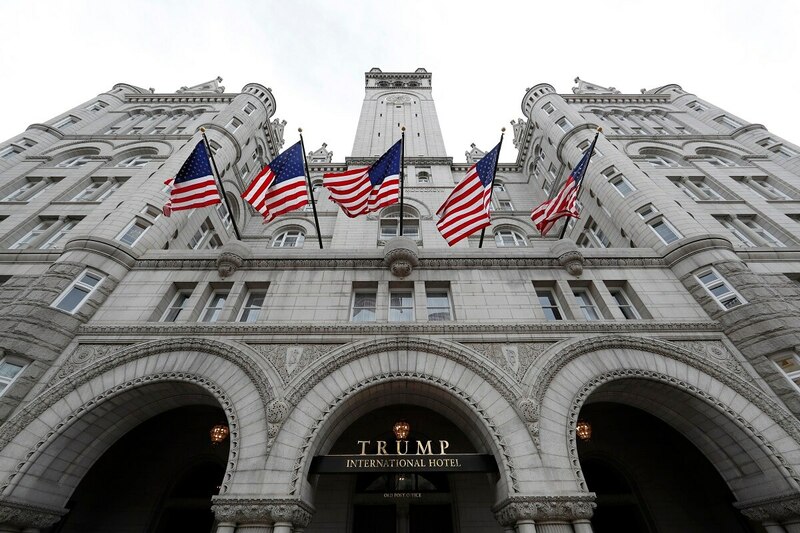 The subpoenas focus on answering three questions: which foreign domestic governments are paying the Trump International Hotel in Washington, where that money is going and how Trump's hotel is affecting the hospitality industry in the District of Columbia and Maryland. To help answer those questions, the subpoenas are asking for records of payments to Trump from state government and federal agencies that patronized the hotel. They're also seeking information proving that hotel revenues are going to the president through his affiliated entities, including The Donald J. Trump Revocable Trust. Most of the records are being requested back to Jan. 1, 2015. Trump's Justice Department lawyers have previously argued that earnings from such business activity as hotels stays don't qualify as emoluments. And in court papers last week challenging the judge's decision to move the case forward, Justice lawyers objected to any discovery on a sitting president in order to avoid a "constitutional confrontation." They also argued that any discovery would "be a distraction to the President's performance of his constitutional duties." Trump's Justice Department lawyers filed a notice to the court Friday indicating it plans to challenge the Maryland judge's decision to allow the case to move forward in a Richmond, Virginia, court. The president's notice that he may seek a writ of mandamus — to have the appeal heard by a higher court — is considered an "extraordinary remedy" that's hard to prove and partly rests on showing Messitte's decisions to be clearly wrong. Because Trump was also the first president in modern history to not release his tax returns, any responsive records would likely provide the first clear picture of the finances of Trump's business empire as well as his Washington, D.C., hotel. There is no indication yet that Maryland Attorney General Brian Frosh and District of Columbia Attorney General Karl A. Racine, both Democrats, would push for the president's tax returns, at least in this initial round of legal discovery, given the sensitive nature of such a request and likely additional delays it would cause. But tax returns for some of Trump's business entities, including the state and federal tax returns for the Trump Organization, are also being requested. The plaintiffs' prior preservation subpoena filing requested documents that concern "marketing to foreign or domestic governments, including members of the diplomatic community" for 23 Trump-linked entities, be saved. Other noted categories for preservation include documents that would identify guests of the hotel and those who have rented event space, details on all finances and "operating leases, permits, licenses, tax payments or credits to or from foreign or domestic governments." Maine also received a subpoena, likely because its governor, Republican Paul LePage, stayed at Trump's hotel in Washington when he had official business to conduct, including discussions with the president. Representatives for LePage's office did not immediately respond to a request for comment. On one of those trips last year, Trump and LePage appeared together at a news conference at which Trump signed an executive order to review orders of the prior administration that established national monuments within the National Park Service. President Barack Obama had established a park and national monument in Maine over LePage's objections in 2016.